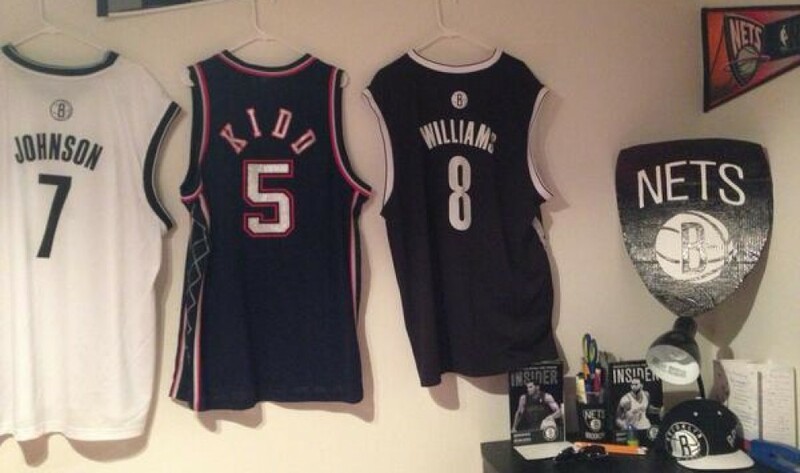 ← The Deron Williams Question: What Does Brooklyn Do? The Paul Pierce show finally ended in the second round of the playoffs, but not before he hit the Nets where it hurts (with bulletin board material), the Wizards swept a Raptors team that was slightly favored, and the Wizards came within a Nene rebound, and Pierce’s finger, from knocking the Hawks out of the playoffs. The Wizards and Nets were both lottery teams before the Nets came to Brooklyn. The Wizards, however, are better than the Nets today, and set up better for their future. What can the Nets learn from Pierce’s new team? The NBA game has changed, significantly, but there is one constant: defense wins championships. Steph Curry three point barrages are awesome, and help develop the common belief that the Warriors win by simply launching threes, but they ranked #1 in the NBA in defense this season, and their real strength is the ability to bottle offenses up. The Wizards are a popular team because of John Wall and Bradley Beal, but was ranked just 19th in the NBA offensively this season, according to NBA.com’s stats page. Their bread and butter was their defense, which was the league’s 5th ranked unit. 9 of the league’s top 11 defenses made the playoffs and the two outcasts — the Hornets and Pacers — were anemic offensively. In Wall, Pierce, Nene, Gortat, and Porter, the Wizards’ roster is chock full of good defenders. That is something the Nets should look to model after. The Nets defensive rating this year was a 105.0, which ranked a paltry 24th. When Alan Anderson, their best defender, was on the court, that number surged to 101.3, a much more respectable 10th in the league (if extrapolated over the course of the season). One primary Nets issue, even during their end of season surge? Deron, Joe, and Bojan are minus defenders, and Lopez is an improving defender, but not a good one. Young is a decent defender, but struggles guarding players with size, and misses some rotations. The Nets simply do not employ enough plus defenders in their nucleus to challenge for anything meaningful. The Nets should look to upgrade their defense, a la the Wizards. One thing which helps Brooklyn? Traditional and counting stats, like points per game, often become the barometer for the market — the league is behind the curve on paying for defense. Anderson and Shaun Livingston, strong defenders for Brooklyn the past two seasons, were on bargain basement deals. DeMarre Carroll signed for $2.5 million per before his explosion. The Nets can, and should, look to upgrade their defensive personnel. Assuming they keep Lopez and Young and cannot find new homes for Deron and Joe this summer (all plausible), there will be enough talent on the offensive side of the ball to put points up: the Nets offense ranked 9th in the league after the trade deadline (and their defense was 23rd in that time). Upgrading the defensive personnel will not be easy, but should be a focus in Brooklyn. The Nets seem to have pledged to continue getting younger and more athletic, in the wake of their mistake in Boston. However, the Nets need to allow flexibility in executing their plan. Becoming a champion is not about winning the headline, creating a plan that is marketable, or the like: it is about being smart. And part of being smart requires changing and adjusting the plan with time. Shifting gears, with shifts in player evaluations, and league wide trends, is central to building a winner. Bojan Bogdanovic, Mason Plumlee, and other young Nets are not bad pieces. Several could develop into 4th or 5th starters on contenders, or key ingredients on a contender’s bench. Should the Nets target trades to get rid of their youth? Of course not. However, the Nets cannot rebuild, and essentially have to build through free agency and the trade market for the foreseeable future, given their pick situation. If the right opportunity to trade any of the Nets’ youth comes about, Brooklyn does need to take advantage. Teams tend to overrate youth on the trade market, and trades for quality veterans often can be had on the basis of potential. For all the Nets talk of stocking the roster with youth, not a single Net projects as a star, let alone a superstar. Again, the Nets should not be seeking out ways to get rid of their young players. However, the Nets should not focus on selling the fanbase on their low average age, either: if an opportunity comes about, and the opportunity makes sense, the Nets should strike. Like the Wizards did. When a team drafts players of Wall and Beal’s caliber, the expectation is that they will surround them with other young talent. The Wizards switched gears, however, when their other youth struggled. They traded JaVale McGee for Nene, in a deal Washington won by a landslide. Armed with the 14th pick in the 2014 draft, Washington traded the pick to Pheonix for Marcin Gortat — the pick became T.J. Warren, who has yet to produce in Phoenix. The Nets likely should not deal Bogdanovic, or Markel Brown. They need cost controlled production because of their awful cap situation. But teams do overvalue youth at times in deals, and you can find very good players at modest prospect based prices on the market. The Wizards did. And maybe the Nets should too.